Here is a small selection of the feedback we have received from our satisfied customers. We pride ourselves on providing excellent service and taking a personal approach with each and every individual or business that we deal with. Dear Wild Goose, I visited you at Christmas 2006 and bought a pair of Trendy Moccasin slippers (UB-931). After 10 years use, the lambskin come away from the sole in a couple of places but they have been a brilliant purchase. I would like to treat myself to a new pair, and have them sent to an address in Sydney where I'm staying until the end of this month. I have had my boots for 14 years and they finally have to be replaced. 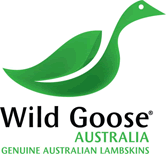 I bought them when I lived in Australia and prefer Wild Goose. Do you ship to the US? Your boots are different than the UGGS that are sold in store here. Your boots are so much better and have much more support. I had a pair of the long boots 8 years ago, fantastic product. Tried on UGG boot yesterday. Not a patch on Wild Goose. Desperately want to replace my old ones (not worn out, just a bit grubby).Can I buy them in the uk or do I order from Australia? I love my wild goose boots I have had mine for roughly 10 years unfortunately time for a new pair. I bought them in Lucknow NSW, love the quality. I have owned and worn a pair of your premium long boots now for about 7 years, I absolutely love them and the boots themselves are still in excellent condition which is a real testament to how good your boots are. Just to let you know that my wife, baby boy and I love your Wild Goose boots! WOW!!! what fantastic customer service! My boots have arrived and they look great! Thank you ever so much Jenny ~ job well done!! Many thanks for the very prompt despatch of my new slippers received this morning. The service is much appreciated and the slippers are fabulous...almost too good to wear!. I have a pair of the long boot and love them, actually loved to death. I bought them in Stanthorpe Queensland, probably close to ten years ago. They have been with me on overseas winter holidays and have been the best thing to walk in. But now the rubber sole has harden and is breaking apart. Can I get these resolved through you or do you have any other suggestions. Thank you. I bought a pair of your slippers seven or so years ago and sadly there is no more life left in the foot bed. They’re a great product, the rest of the slipper is still going strong. Not sure what your warranty or quality guarantee is, and remembering at the time we couldn’t really afford the ugg Boots, my husband and I can only express how impressed we are with the quality and durability of these often worn uggs. I have never had a pair of shoes, let alone ugg boots last as long as this pair has. Over 10 years is a very long time to have a pair of uggs, and in this day and age where you can buy cheaper everything, its a great feeling to know that money you spent at a time when you couldn't really afford to, has paid off. The only reason I am now looking at replacing mine, is as you can see from the photos, the soles have finally given way. For a while it looked like I could get another year to two out of them, but once the crack in the right boot started, that was it. Within two weeks bits of the uggs sole have been littering the floor of the house, and I can not drag out this farewell from my favourite uggs any longer - sometimes you just need to let go. Over the years many people have asked where I got my boots from, and honestly I couldn't remember - in fact I don't even think the shop exists anymore. So with a heavy heart, I have succumbed and asked my husband to help me find where I can get an exact replacement. We have been googling to find where to buy your product, and only found two places that sell them. As their prices vary and their postage costs also vary, could you please tell me what the RRP is for the premium long ugg boots? And, lastly, thank you for having such a great quality product. I've had my previous pair for over 8 years and it is only recently that the sole has started to perish, awesome quality and have served me well! Hi I have a pair of your classic tall ugh boots which I wear daily in winter. I was wondering how if there is a way of cleaning the inside sole that lifts out of the ugh boot? The lambs wool has flatten in areas of mine and they have a bit of an odour from being worn all the time. Is it safe to wash them ? The rest of the ugg boot is fine and I don't want to ruin them since they are the best ugg boots I have ever owned. Hi my name is jasmine and I was wondering if anyone could help me find a pair of your amazing wild goose extra tall ugg boots! I have had mine for over 7 years now and will not part with them unless I find a replacement pair! Love your product and have recently bought my second pair of Ugg boots from the Ugg boot lady in Stanthorpe on the way through at Easter. I have a pair of your long lace up boots. They are fantastic and have been by far the best boots i have ever owned. I have had them for a few years. They are still in great condition. I purchased a pair of your tall boots in 2005 from Deep's Clothing in Cootamundra and 10yrs later they are still going strong! I now reside in Melbourne and my housemate (after admiring my boots for 3yrs) is interested in purchasing a pair for herself. Do you have any Victorian Stockists? Thank you . I received the slippers today in time for the colder weather this weekend, and wearing them right now. Happy feet. I received my new ugg boots today! Thanks so much for the quick service and such a good price. Thanks for the great jacket...super warm. I am extremely happy with the quality and style of this boot and i wear them daily for about 9 months per year (yes i even wear them out in public!). I love your products! Bought a pair of boots seven years ago and now have to replace them – best boot I ever had!